The Atlantic Forest runs through Brazil, Argentina, Paraguay and Uruguay. Over forty percent of the more than 20,000 species of plants in the forest are unique to this part of the world. The Atlantic Forest is also home to more than two dozen critically endangered species of animals. 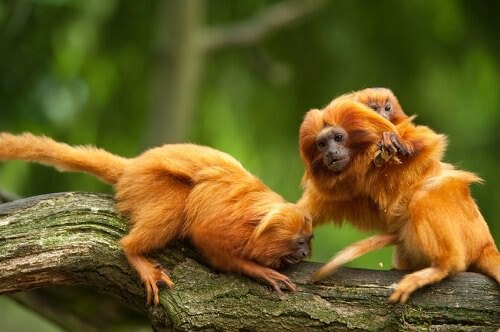 Among the endangered animals are lion tamarins. The majority of the forest is being cut down to make way for sugar and coffee plantations.